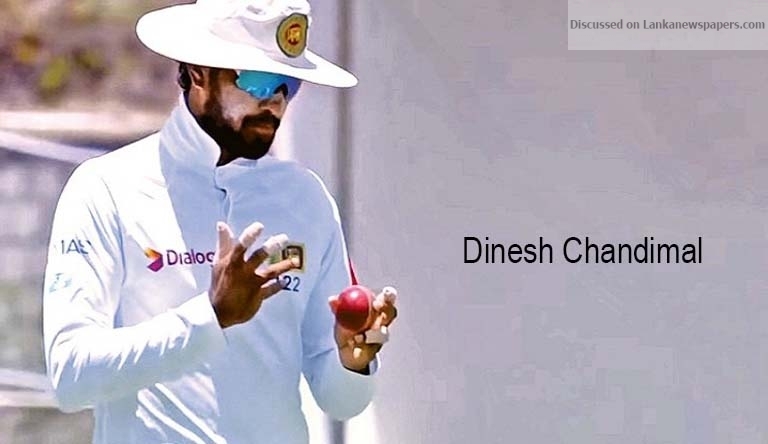 Dinesh Chandimal has appealed against ICC match referee Javagal Srinath’s decision to find him guilty of ball-tampering during the second Test against West Indies in St Lucia. Chandimal was suspended from the third and final Test of the series. Yesterday, the ICC appointed chairman of the ICC Code of Conduct Commission, Michael Beloff QC, as the judicial commissioner to hear Chandimal’s appeal. The ICC release said, the “hearing will take place on June 22, and, legal counsel for both parties and Chandimal will join via telephone or videoconference.” It gives Chandimal a chance of participating in the third Test that begins on June 23 in Bridgetown, if the punishment is overturned. Chandimal had been charged by the ICC after video evidence indicated that he applied saliva to the ball shortly after putting what the ICC suggested was a sweet into his mouth. He pleaded not guilty, before attending the hearing where Srinath handed Chandimal the maximum punishment available under the code – two suspension points and a fine of 100% of his match fee. Chandimal’s appeal is likely to hinge on what he put in his mouth. One of the probable contentions is that Chandimal had a number of things in his pocket during the day, including cough lozenges (which you cannot apply to the ball) but also almonds, and he does not remember which of those things he put into his mouth in this particular clip. Chandimal’s defence is likely to contend that there was no way the ICC could possibly know that it was a substance capable of altering the condition of the ball, because the video evidence does not make it clear what the substance was. The argument, essentially, is that the ICC does not have sufficient evidence to find Chandimal guilty of tampering. This has been one of Sri Lanka’s assertions from the beginning.